Charleston Travel Guide - Family Friendly Things to do in Charleston, S.C. There are more things to do in Charleston than could ever be put in one place. This guide to things to do in Charleston makes a great jumping off point. Things to do in Charleston? There’s quite a bit. We were just there, and we only took in a sampling of all the amazing things to see and do there. Charleston is a major southeastern city, and you can tell. It’s chock full of fun for families, couples, and singles, alike. Whether you love night life, fine dining, or just communing with nature, there’s no shortage of things to do in Charleston. I was provided complimentary admission to some of these attractions, but all opinions are my own and not influenced by anyone. Charleston is one of those cities that perfectly combines the best of old and new school. Of course, the city has fine dining, modern buildings and architecture, and all the amenities of modern living. 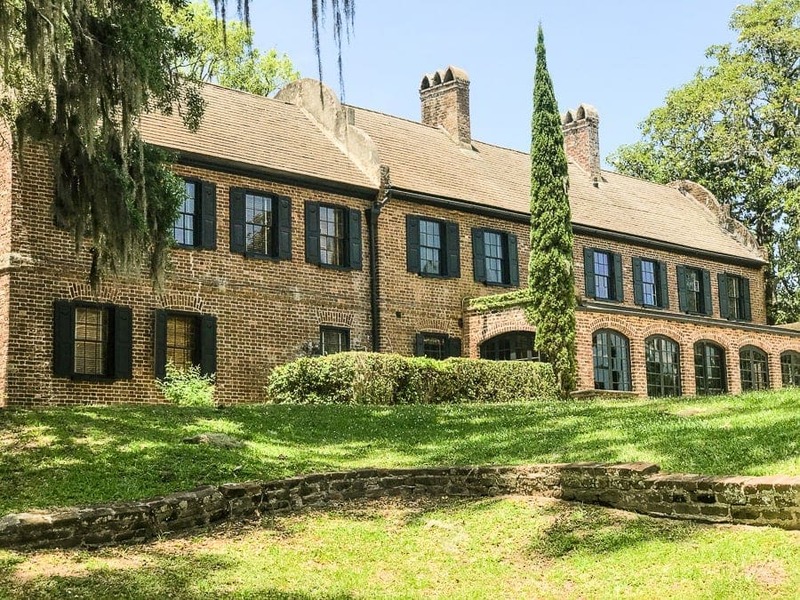 However, you’ll also make your way down cobblestone streets, see 10 horse-drawn buggies if you see one, gorgeous historical homes, and some of the best Lowcountry dining around. It’s magical. There are a lot of options when it comes to activities you can enjoy in Charleston. This city is located in an area that gives you the best of all words. They have everything to offer that we love in a big city, as well as being surrounded by the natural beauty of nature, including Charleston Harbor. Let’s break it down and see what’s what. There are tons of family friendly things to do in Charleston. From historical sites to children’s museums and more, Charleston has no shortage of fun for families. The South Carolina Aquarium is locate right on Charleston Harbor, and it is a must see for families. This impressive aquarium is committed to educating the population about our ocean in a fun and engaging way through information and, of course, sea life. It features examples of marine life and ecosystems from upstate South Carolina to the shore and more. They even have a Sea Turtle Hospital tour. At $10 for an all day rental, this place make a unique way for families to take in the beauty of Charleston. It only takes about 30 minutes to get form one side of the harbor to the other, and during that time, you’re bound to see dolphins in addition to the beauty of nature. Throw some culture in the mix when you head to Charleston. One of the best cultural things to do in Charleston is take the kids to the Children’s Museum of the Lowcountry. It features interactive exhibits like an art room, medieval castle (not to scale), puppets and dress up, a water room, grocery store, fishing boat replica, and more. 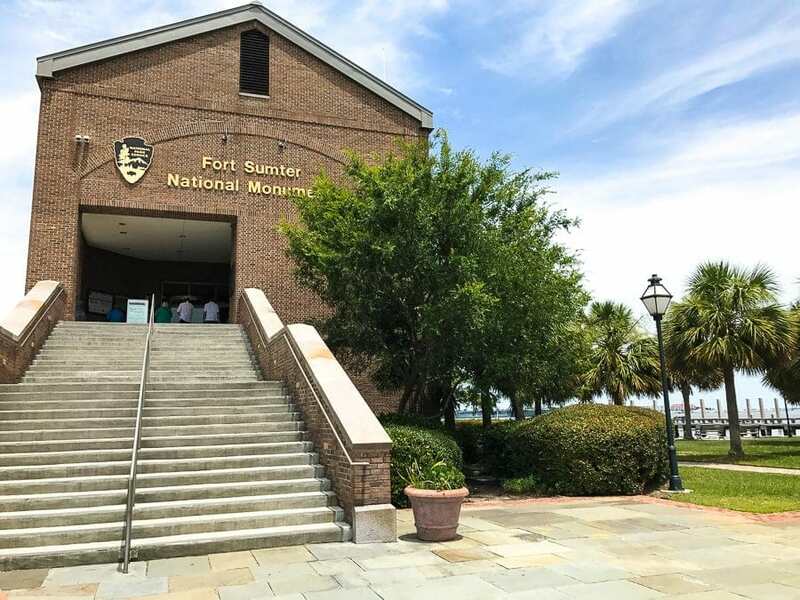 Take the kids on a trip back in time with a Fort Sumter Tour. Explore the grounds, take a trip around the harbor, and more at this wonderful historical site. They even have concessions and a sheltered area to get out of the sun on your tour. Beaches will ALWAYS be on a list of family friendly things to do in Charleston. The city is in close proximity to some gorgeous beaches. Folly beach is just 15 minutes from downtown Charleston. 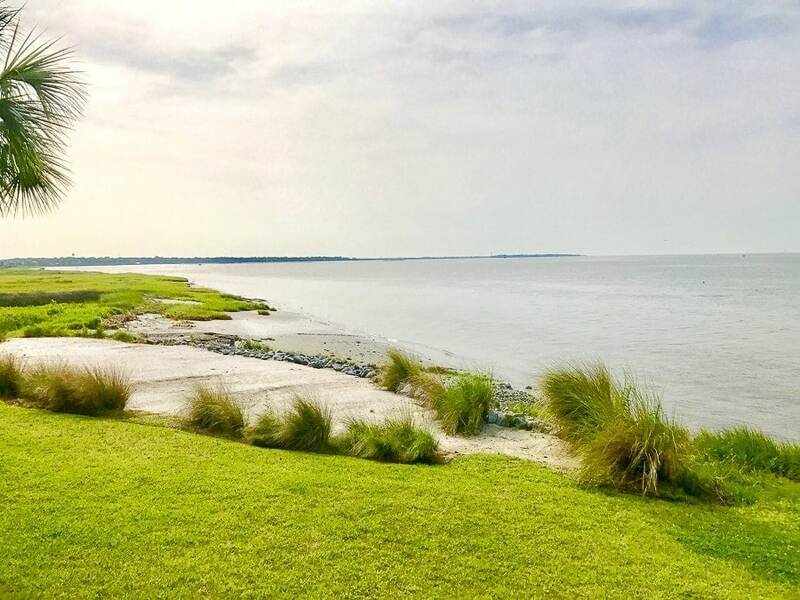 In addition, the surrounding Kiawah Island, Isle of Palms, Seabrook Island, and Sullivan’s Island surround Charleston offer miles and miles of beaches. Charleston also has great activities for kid-free couples. These activities are best enjoyed without children because they’re a little slower and more appreciated by adults. This is the only tea plantation in North America. This 127-acre farm is full of rows and rows of tea shrubs as far as the eye can see. It features a gift shop, factory tour, and a trolley tour of the grounds. The grounds make for a wonderful adult-oriented day out. Offering 12 acres of fountains, green areas, and walkways on Cooper River, Waterfront Park is a perfect romantic location for couples. This park has a laid back vibe and beautiful scenery as well as a pier that often has live music. Take in one of the largest historical sites in the state and America’s oldest Landscaped Gardens while you’re on your Charleston Trip. Middleton Place makes the perfect day trip for couples. Enjoy the beautiful gardens, landscaped grounds, horse drawn trailer and the SHEEP on the grounds. 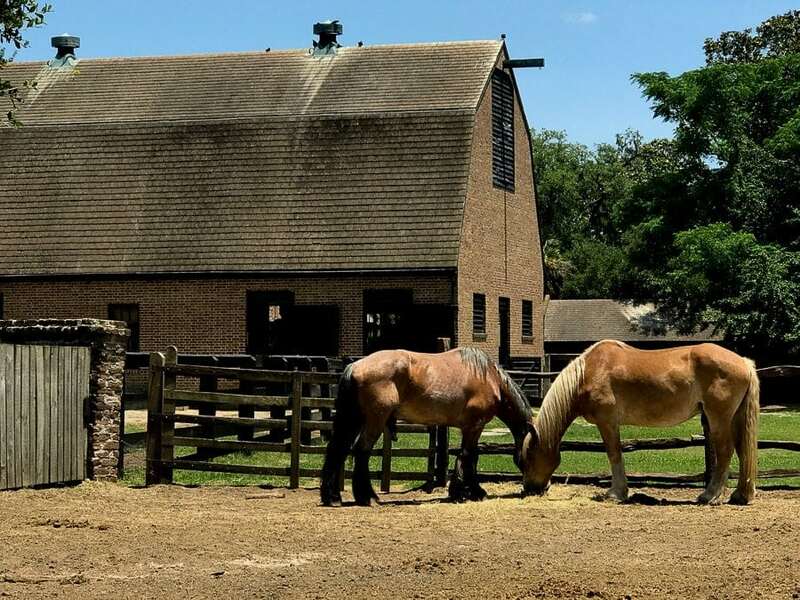 The house museum gives a glimpse into history, while the stable yards bring the sights and sounds of a Low Country rice plantation to visitors. And that’s only the tip of the iceberg. This is another on the list of things to do in Charleston without kids because of the patience involved. Adults will enjoy the 90 minute bus tour of the city which highlights the best of the best in historical spots. However, children probably won’t have the patience to sit for that long. Bulldog Tours offers three distinct things to do in Charleston. They feature some of the best history, food, and ghost tours in the area, making sure you see all the best spots in the city. We did the Ghost and Graveyard Tour, and surprisingly it was not scary at all. Be prepared to walk on most of the tours. This historical home is over 140 years old. It was sold in 1975 to the Charleston Museum. Historic Charleston Foundation purchased the house in 1995. Take a step back into time and learn about the important history of its house and outbuildings. Audio is available upon request. Just as there is no shortage of things to do in Charleston, there is also no shortage of amazing places to eat. Experience “cafeteria food” in a whole new way at Workshop. This high-end cafeteria features several different restaurants, all staffed by real chefs with some real skills. Choose from eateries like Asian themed Pink Bellies and Kite Noodels, Tex-Mex fare at Juan Lewis, high-end sandwiches at JD Loves CHese, and Bad Wolf Coffee. Head to Rodny Scott’s BBQ for a mouth full of smokey Heaven with every bite of pulled pork. It’s a BBQ fest all day, everyday. More than just a clever take on a classic song, Pancito and Lefty offers mezcal, tamales, pozole, and of course, tacos. What trip to an ocean side city would be complete without stopping in for some delicious seafood. Rappanhannock Oyster Bar is the premier shellfish and seafood restaurant in Charleston, offering lunch, brunch, and dinner. One of the more unique dining spots on this list of things to do in Charleston is Sorghum & Salt. This restaurant offers an exclusively local menu with ingredients from the surrounding waters, and farms. In between all of those great things to do in Charleston, you’re going to need to relax and recharge. These are the best places to do that. 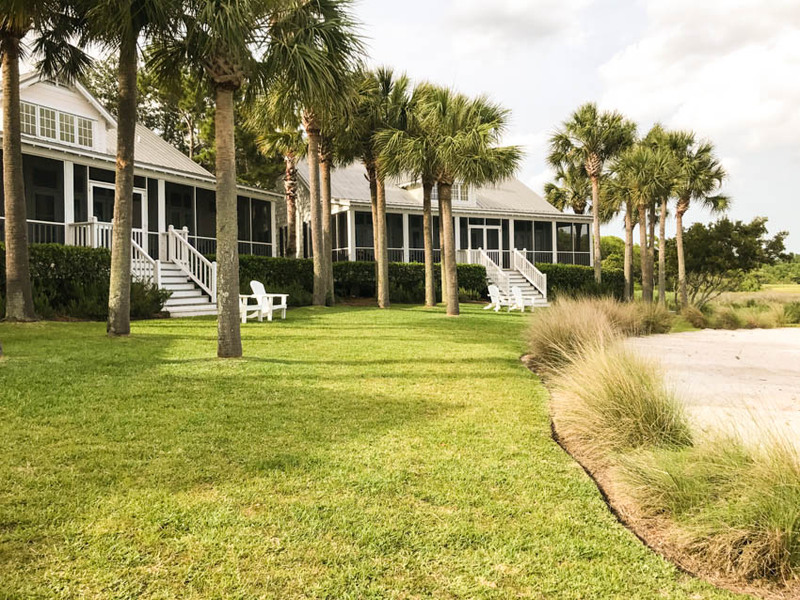 Offering beautiful views, gorgeous beach frontage, and well appointed cottages, The Cottages on Charleston Harbor makes a great place to relax in between all your exploring with a cozy home away from home feel. If you have the cahs, Wentworth Mansion makes a great place to relax and recharge. With elegant decor, on-site spa, evening hor d’oeuvres with drinks, and luxurious rooms, Wentworth Mansion offers the highest in relaxation while staying in Charleston. Although it doesn’t offer a gym, pool, or spa, French Quarter Inn still makes an excellent choice for Charleston accommodations. Located near most of the picks on this list of things to do in Charleston, the Inn offers proximity as well as posh comfort. Whether you’re visiting Charleston with Kids or just as a couple, Wild Dunes Resort makes a great hub for your trip. Located on Isle of Palms, this resort has all the amenities you’d expect to find at a resort, as well as some of the best views to be found in the Charleston area. Offering all the old south feels, Francis Marion Hotel routinely receives praise for its southern hospitality, old world atmosphere, and its VERY delicious restaurant offering the best of the best in low country cuisine. Although some guests have said the rooms are a bit on the small side, it can be argued that the smaller rooms add to that sense of history. Well, we’re almost 1,500 words in to this guide on things to do in Charleston, and we’ve only touched on all the things you can see, the restaurants you can dine in, and the places you can stay at on your trip. Charleston is a city of excitement and beauty – both man made and natural, and this guide makes a great jumping off point for planning your trip. Remember, this is only a small sampling of things to do in Charleston. So start planning your trip to Charleston now and experience this gorgeous place for yourself.